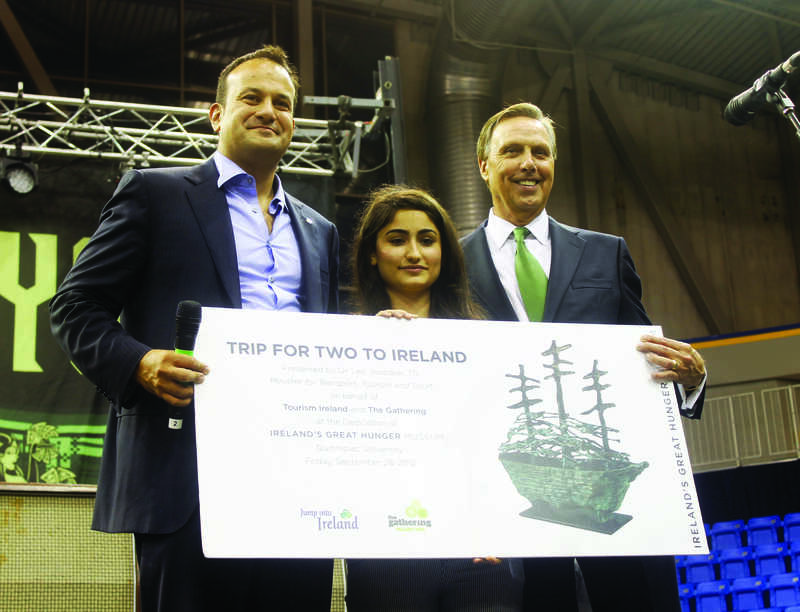 The luck of the Irish rubbed off on sophomore Michelle Ayrapetyan, winner of the two-person, all expenses paid round trip to Ireland, sponsored by Tourism Ireland. “Before I was just joking around that I had the ticket and they started calling my number and I looked at it and said, ‘I think I just won,’” Ayrapetyan said. The political science major from Philadelphia has traveled to England, Russia and different islands, but never Ireland. “My goal is to get all of Europe eventually,” Ayrapetyan said. Ayrapetyan was volunteering at the concert and didn’t need a ticket, however the volunteers were encouraged to get one to be entered into the raffle. Ayrapetyan didn’t scan her ticket until later on that day, right before the concert. Her pick for the extra ticket is her mother, who was just as excited as Ayrapetyan was with the news. “I was speechless and they asked me if I had anything to say but all I could say was ‘thank you,’” she said. The next step for Ayrapetyan is to keep in communication with the Minister of Tourism on more information. Once all the information is finalized, she hopes to take her trip during spring break or summer, when it’ll be warm in Ireland. The trip will cover the flight and hotel accommodations. Ayrapetyan and her mother would like to travel to other countries than Ireland, she said, if she can.